This expansion will be considered for a stretch goal for the Crazier Eights: Camelot Kickstarter campaign this October 2016. 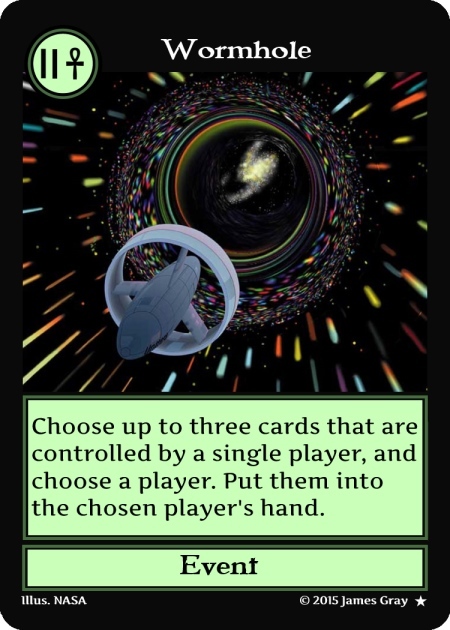 I am working on an expansion set for Crazier Eights with a space theme currently called “Eternity.” It will likely be a stretch goal for the Kickstarter campaign. 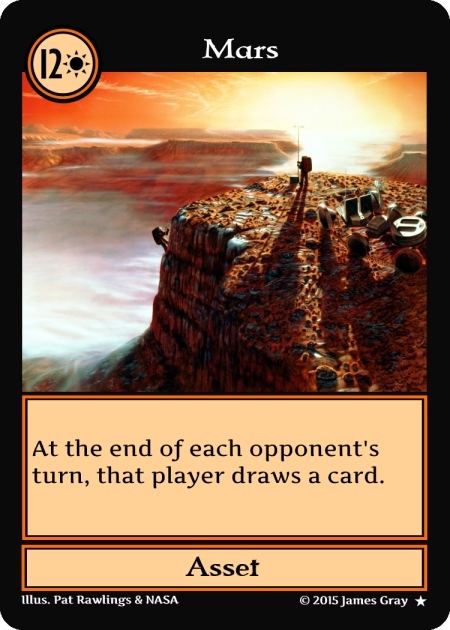 The expansion is a set of around fifteen cards that are shuffled into the Second Edition of Crazier Eights. It is also possible to shuffle it into the First Edition, but the main intention behind it is to use it for the Second Edition and future editions of the game. The cards added to the deck is enough for the fifth player. The fifth color would be yellow and use a star for the suit symbol. It would have thirteen yellow cards and four five-colored cards. A new color would make it more difficult to discard cards, and the five-color cards would help fix that issue. 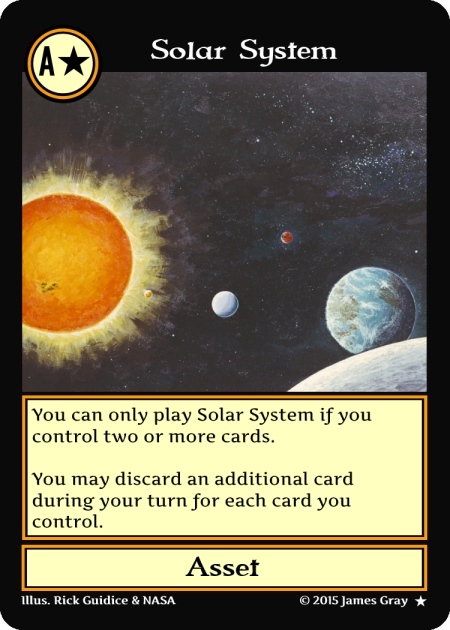 Note that the bottom left-land side of the cards will have a star for the set symbol to help differentiate it from the regular Second Edition cards. 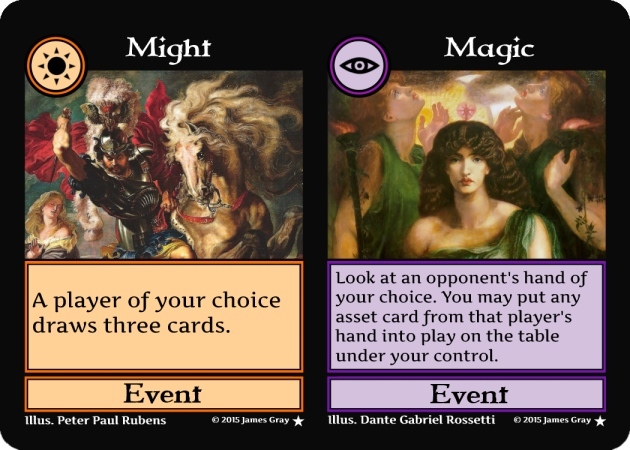 The other main option is to use the same colors as the main set, but to add higher numbers/ranks: 11, 12, 13… I am considering having six two-colored cards for the set as well. 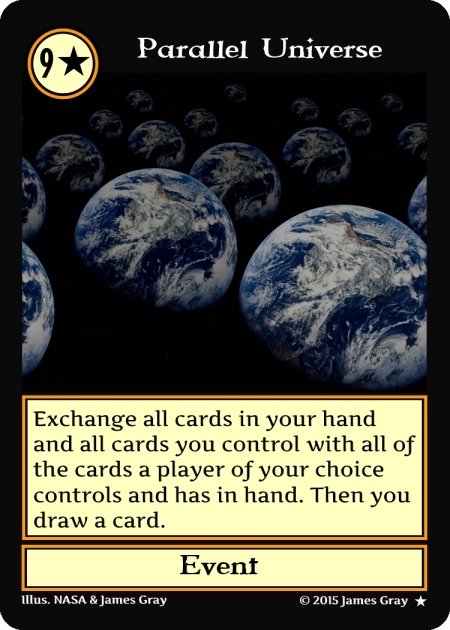 Instead of two-colored cards another idea is to have split cards–cards that can be played for an effect of two different cards. Split cards count as two colored cards when discarded. 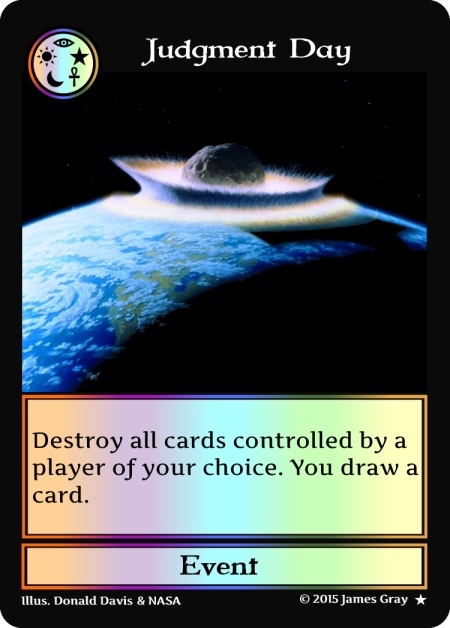 I don’t have a lot of ideas for space-themed split cards, so they are unlikely to be used for Eternity. 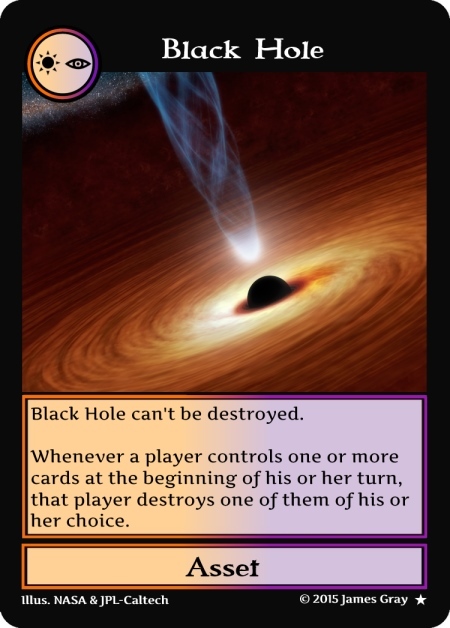 The Spoiler (image gallery) for Crazier Eights: Second Edition. This entry was posted in expansions. Bookmark the permalink.